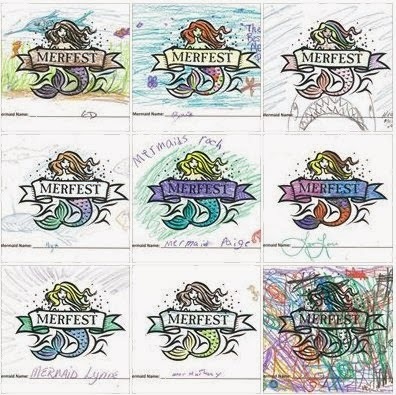 NC Merfest was created by Christomer Starfish, the Mer King. The Mer King decreed that all his subjects should come together and celebrate life, joy, and all things aquatic for one amazing weekend, January 3-5, 2014. 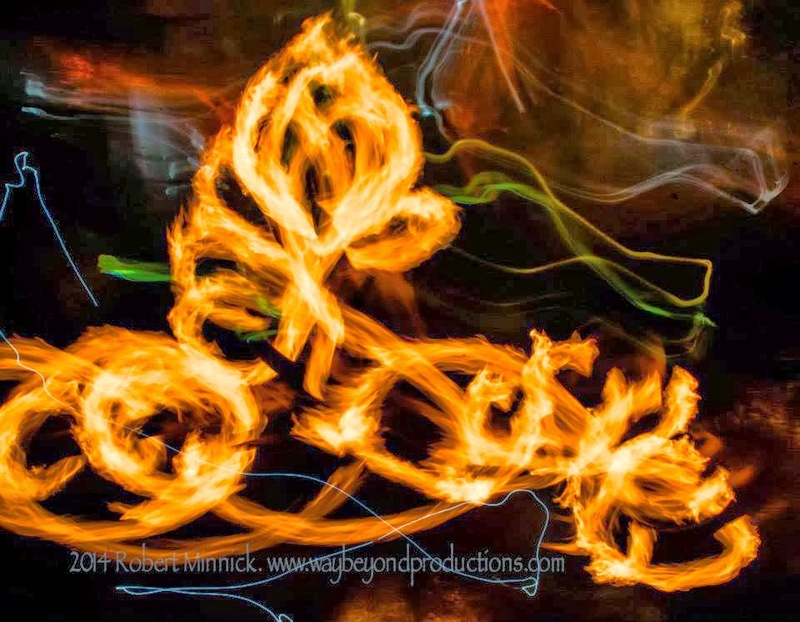 Fire Pixie was honored to be invited to do a fire show at the closing luau and an aerial circus act during the Mermaid Fashion show produced by Mermaid Atlantis. And of course, I brought my body paints and my mermaid tail and did lots of swimming, competed in the Mermaid Olympics, and flipped fins with some of the most gorgeous and talented mermaids in the world. Saturday morning I woke up bright and early. Today was the fashion show, and there was lots to do. I hurried to the Cary Town Center by 8:30 am to assist Revonne Carter with her body painting. She had 5 models in the fashion show, and her regular assistant had called in sick. She was using waterproof paints for the first time -- I guess regular paint won't stick to real mermaids -- and as all body painters know, using an entirely new kind of paint is really a challenge. She gave me some direction and vision and turned me loose with a brush, and we got to work as the mermaid models chattered and the fashion show production went on all around us. The colors shone, the energy bubbled up, and the morning flew by. Even with unfamiliar paint, unfamiliar models and an unfamiliar assistant, Revonne's show turned out absolutely stunning. After painting for about 4 hours, still zinging and full of energy, I cleaned up and quickly got ready for my own fashion show performance. The fashion show had a Fairytale theme (right up my alley, that) and Darrell and I had a surprise aerial silks act planned. 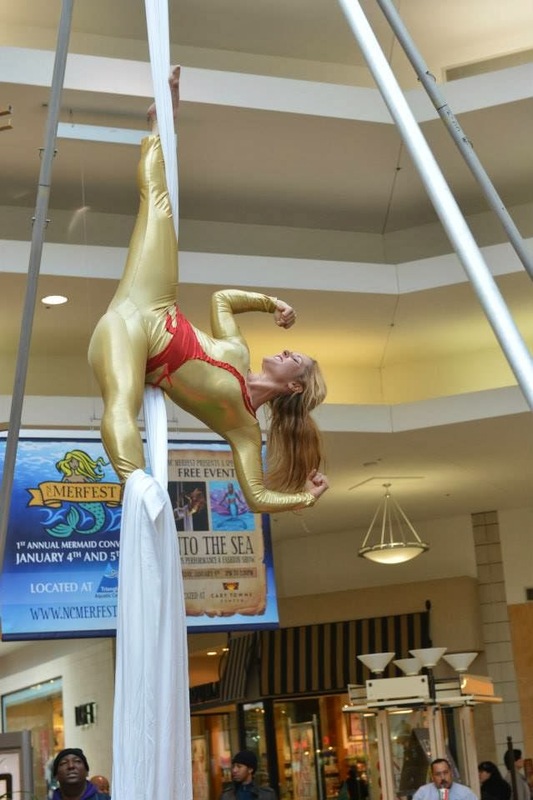 The show was opened by 3 fantastic aerialists from Cirque du Vol, including the most accomplished young aerialist I've ever seen - she had to be 7 or 8 years old and her act was stunning! Next came the fashion show itself. The parade of undersea creatures included a stilt walker, a lion fish, lots of sea punk designs and even a 12-person Chinese dragon parading around. And of course, Mermaids! Our circus act was show's finale. I slipped my gorgeous Red Riding Hood cloak over my circus costume and skipped lightly down the runway, twirling and swirling my cloak like a fashion model. After a moment Darrell appeared on the stage in his silly Big Bad Wolf getup with a howl. He owned the runway, strutting and swishing his wolf tail. I ran around looking for a place to hide, and soon found myself at the top of the aerial silk where I pelted the Wolf with stuffed penguins until I hit him squarely in the snout, and knocked him out. 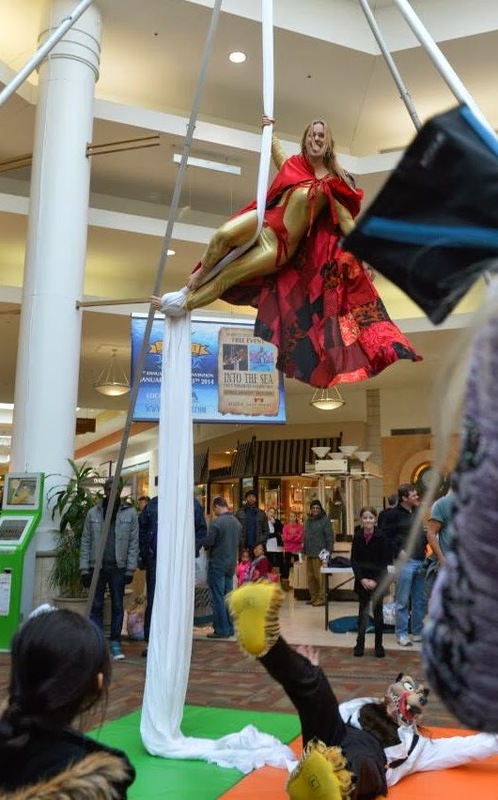 I dropped the cloak and launched into a fun, irreverent aerial dance. After the show, all the performers, designers and models took the stage for a final bow, and then we packed up and headed back to the hotel to make ourselves fancy for the Masquerade Ball. As I am a Princess at heart, the Ball was the event I was most excited about. I'd been dreaming about my dress for ages, and scheming with Mermaid Atlantis to come up with and create matching ball gowns fit for a Magical Mermaid Masquerade. 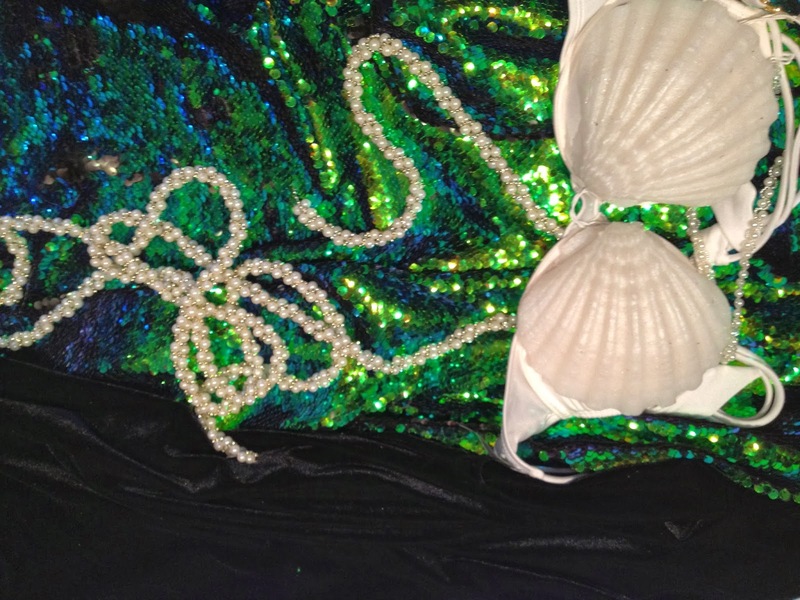 We started with our brand-new light up LED mermaid seashell tops and added lots of pearls, accessories and jewels. For the dresses themselves, we wanted to create them from something really special. We'd shopped around, looking at so many different fabrics, and when we found The One, we both knew it immediately. The dresses turned out just stunning, but that wasn't quite magical enough for me and my Princess Ball Gown Standards, so I also sewed a dozen or so subtle LED lights into the skirt of my dress. The twinkle and fade of the lights is actually (magically!) triggered by the motion of the dress - as I swish my hips, the lights ripple across the fabric and then wink out again, catching the eye and then vanishing before you're sure whether what you saw was a reflection, high tech, or just pure magic. We arrived at the ball, dresses and faces aglow. The event was held at the Raleigh Natural History museum which was an incredible venue, and everyone was dressed to the nines and looking fabulous. We danced, we sang Siren songs, we toasted our Merfolk friends from around the world, and we pretty much soared through the night and into the wee hours, before ending up in the hotel pool in our mermaid tails and light-up seashells, splashing, swimming and just enjoying the heck out of each other. The last day of the event started far too early for my wine-addled head. We woke up and headed back to the pool for a class in Advanced Breath Holding, followed by lunch and the Mermaid Olympics. 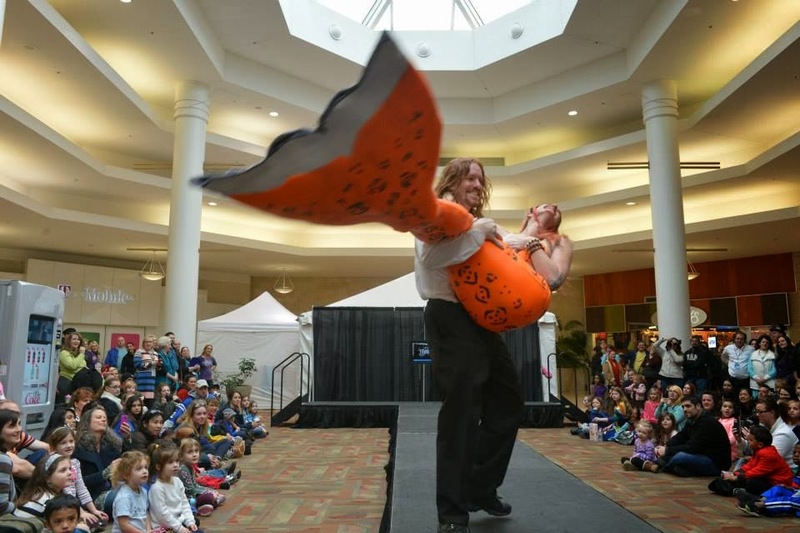 This was a fun competition with events like synchronized swimming, bubble blowing, mermaid siren calling and a dinglehopper dive (that's me in the light-up seashells near the end of the video). There was also a mermaid coloring contest, in which I won a medal for "most abstract." 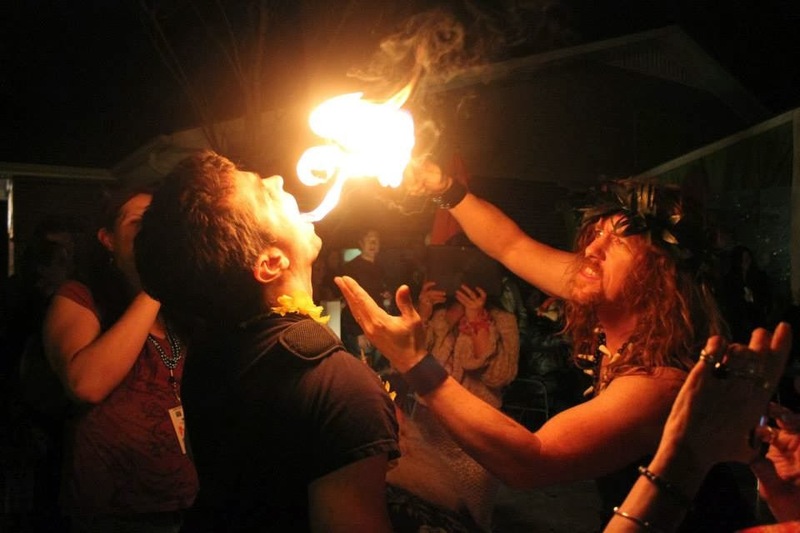 Tired and elated, we headed off to get ready for our fire show at the weekend's closing luau. Despite the chilly, rainy weather, everyone trooped outside after the Finfolk Productions silicone tail raffle (which I'm gonna win for SURE next year) to see us burn. Our fire show is the one I'm most passionate about, so I was very excited and a little nervous to perform for all our new best mer-friends. Would they like it? Mermaids are water folks, not fire folks.. what would they think? As the show was starting, Darrell gave me a wry look and then turned to the audience. "The sound system has refused to play our music," he told them. "We'll be performing to silence, so you'd all better make a lot of noise." Whaaa? Was he serious? No music? Our show is really tightly choreographed. We can't dance to silence! But then Darrell lit up the torch, and as the fire flared up, the mermaids cheered. He grinned, and started wisecracking and teasing people with the fire as I closed my eyes, felt for the music radiating from the hearts of all the beautiful mer-folk, and started to dance. 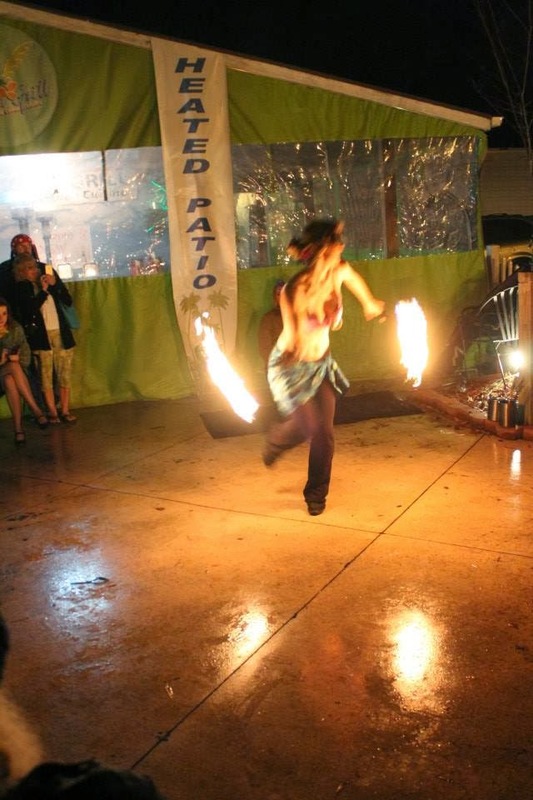 Who would have thought that mermaids would enjoy fire quite that much? They laughed, cheered and danced along with us as we made our way through the show, feeling each other and our audience so much more than usual without the music there to fill in the cracks. At the end of it all, part of me is grateful for the silence that allowed me to hear the mer-song burning inside everyone. Good thing Darrell pulled that fire snake out of that merman. We talked, smiled, and connected until late into the night. Nobody was willing to go to bed and end this magical weekend, or to say goodbye to all the incredible new soul mates we had just met. But all things must end, and I'm still floating in a sea of bliss. I'm so incredibly grateful for this incredible life, and all the magical creatures who fill it.